Four years since The Lumineers broke out with their hit single 'Ho, Hey' and self titled debut album, massive expectations have accompanied the announcement of their sophomore album. Lead single 'Ophelia' thematically personifies fame as a temptress, and is the most anthemic and memorable track on the record and in some ways, a mirror to 'Ho Hey' with the beats and the musical style. 'Sleep on the Floor' and 'Gun Song' similarly brings percussion into the track that has 'The Lumineers' written all over it. In this way, the first third of the album is a soft transition from sounds of the first record. From 'Gale Song' onward, the album turns to mellow territory, that though sound great individually, when listening to the album as a whole, somewhat blurs together. Instrumental track Patience is a delightful vocal break that really grabs your attention, and the album ends on a high with 'White Lie', a stripped back, darker sounding track with gripping piano backing. 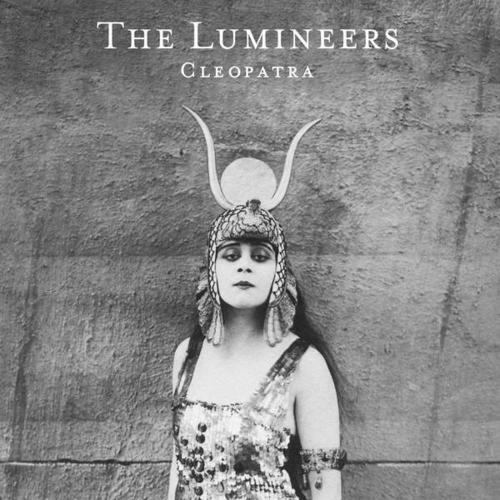 'Cleopatra' is a strong record from a band that won't compromise on sound. Despite the success of 'Ho Hey', and the lighter folksy sound of the previous record, their sophomore album explores themes of fame, death, relationships and artistic metaphor in a darker tone.